americana, exciting New Age Renaissance Republic poetry, Beat and Haiku progressions with Spanish influences from Edward Smallfield and above/ground press. 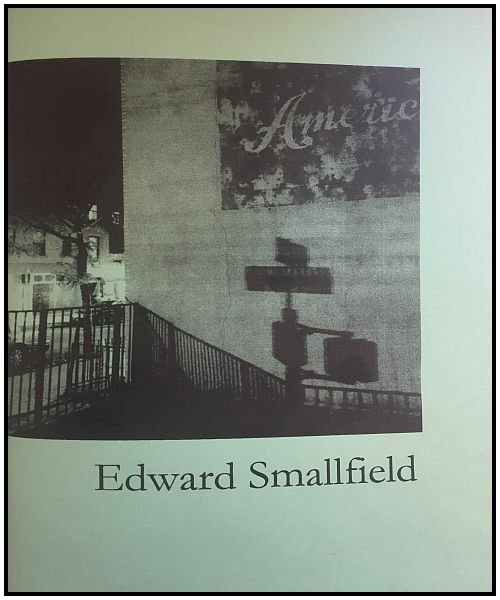 Edward Smallfield (Poet, writer) studied English at university in the United States and is currently living in Spain. He has written The Pleasures of C, equinox and collaborative projects with Doug MacPherson, Miriam Pirone and Valerie Coulton. He is widely published in literary Zines and online. A considered, enigmatic mix of Beat and free form Haiku, the poetry rolls out as if having come through a storm. The short staccato delivery is art nouveau, broken thought train breathing in new original juxtapositions of words in often exciting enigmatic soup. The poetry exists within the dark violence of the masculine in a weave with the creative force of love, that presents a grainy sepia picture. The work seems influenced by suffering inside the machine, perhaps coming through an Existentialist hell with the light at the end of darkness. Perhaps memory drawing him back into dark images. A certain base nature mixes with a certain wonderlust, leaving This Writer looking for the often brilliant pieces of light. Undercurrents of life in Spain influence the writing, giving a certain exotic turn, mixed with his American roots. Flying with angels, in the dark with demons, this poetry runs the gamut. I live for the light, some incredibly brilliant poetry when striking the light. americana by Edward Smallfield.